The widely known MMORPG Second Life is celebrating its ten year anniversary this weekend. The 3D virtual world has accumulated over 200,000 years of play time between millions of users since the game first opened to the public in 2003. The first celebratory provision from creators at Linden Lab is an infographic highlighting the current state of the virtual world, along with facts showing how the game arrived to this point. The company has been celebrating the birthday of Second Life all month, already providing a handful of new content to mark the occasion. If you missed it, you may want to check it out while there?s still time. Player experiences during the anniversary will range from receiving virtual gifts, to partaking in special events. Some of these events are even being organized by the community, which makes sense seeing how the community established the virtual world to this date. Whether you like art exhibitions or community parties, there will be something for you to do in Second Life. 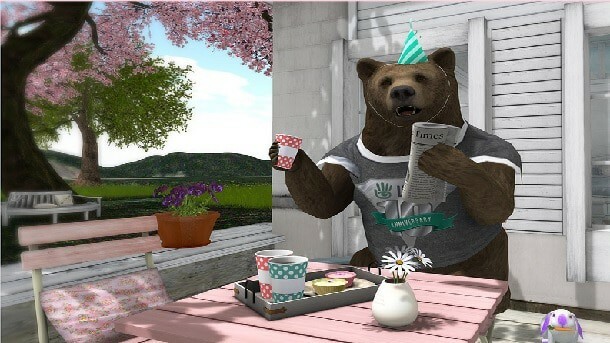 Players are encouraged to check the Second Life blog Destination Guide during the birthday celebration. The guide will highlight more than 2400 locations and events in the massive world that people will be able to track down. Rod Humble, the CEO of Linden Lab, was interviewed in an episode of The Drax Files to cap off a wonderful anniversary event. For those who don?t know, The Drax Files is a video series that profiles experiences from Second Life users around the world. With so many players partaking in this MMORPG, there?s no doubt going to be some great stories to be shared. Humble pointed out the supportive community stating, ?It?s impressive for a user-created world to reach ten years of age and more impressive still for it to see a million monthly active users!? Whether you?re a random dedicated player, or a CEO of the massive online game, there?s no doubting that Second Life has reached a milestone that would be significant for any game in the MMO community.